At Herlihy Mayflower, we strive for 100 percent customer satisfaction with each move. Our attention to customer services has earned the trust of many repeat customers like John T, who most recently called for help with a local move in Kingston, Ohio. 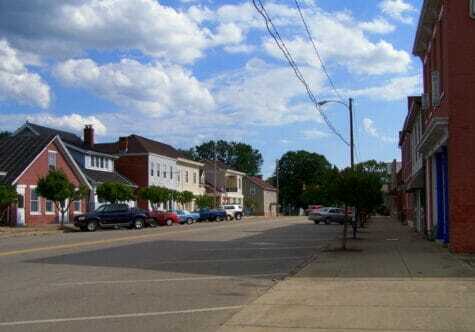 Kingston is a village of about 1,000 residents in Ross County, Ohio. Located about 21 minutes from Chillicothe, this picturesque village was plotted in 1816. After our Chillicothe moving team finished moving John’s furniture and household goods from one home to another in Kingston, he wrote to let us know how happy he was with their courtesy, timeliness and efficiency. “These two guys were great!” he said about his moving team. Many thanks for your repeat business and kind words, John. We wish you all the best in your new Kingston home. Looking for a professional, reliable Chillicothe, Ohio moving company serving Kingston, Ohio? Contact us today to experience the Herlihy Mayflower difference. As one of Ohio’s oldest moving companies, we have moved thousands of families and businesses within Ohio, across the United States, and around the world. We’re BBB accredited and Angie’s List approved. And, as a locally owned and top-rated agent of Mayflower Moving serving Chillicothe, Athens, and Chillicothe, Ohio, we have the resources to move you, no matter where you need to go.